So when you look at your photos practise writing a caption that describes the photo with these elements. 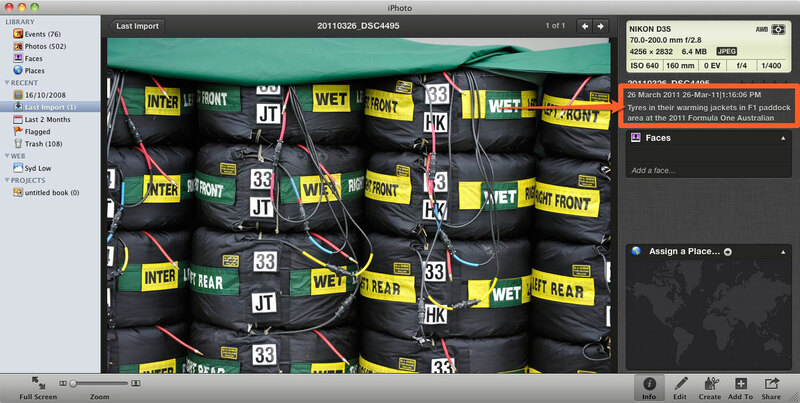 If you want to have a look at examples of captions here are a couple of sites: Getty Images and Daylife. Now that we know what we want to write, how do we attach the caption to the photo? A caption for a photo is known as metadata. This is technical jargon that simply means information about the photo. Other types of metadata are the camera settings that was used, the lens, the exposure, the GPS info and the photographer. 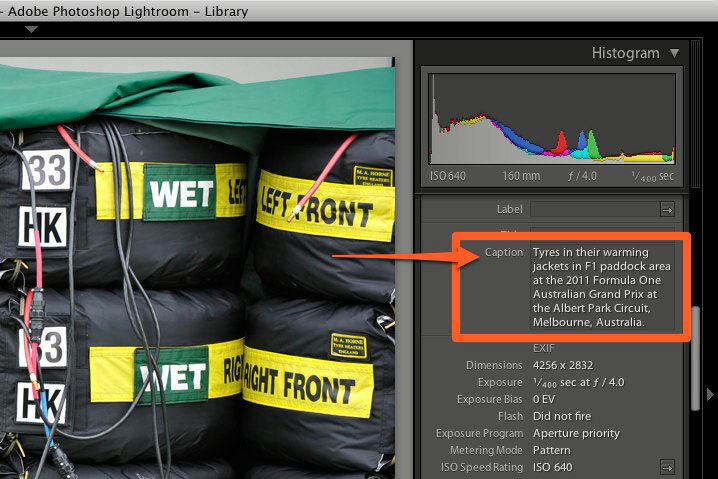 The class of metadata that a caption belongs to is known as a photo’s IPTC. This is an acronym for the International Press Telecommunications Council and they have set up some standards for a photo’s metadata. 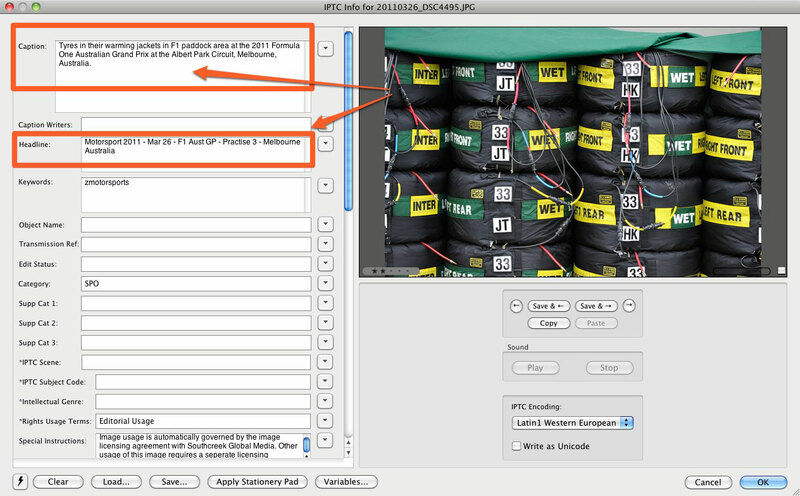 Metadata is added to the image file using software like Adobe Lightroom, Aperture, iPhoto, Photo Mechanic and most photo editing applications. While each application is different you should look for a function to add a caption or description, and a headline or title to the photo. You’ll then find that when you export or save the photo, the metadata information you’ve entered will be saved into the photo file and the recipient can read and extract it. As you probably now realise the caption and headline is only the start of metadata. A big class of metadata is keywording. Here’s a good reference for interested readers to learn more about keywords. Keywording is now highly technical with one of the leading experts having a standard list of 5,500 keywords in a hierarchical order that is available for purchase and is compatible with Adobe’s Lightroom software. You might ask why? The answer is that’s how people can find images in stock image libraries. So, remember, practise and have fun. If you ask me, competition is always a good thing. Once you become complacent, then your work becomes stagnant. Happens and had happened to a lot of famous artists. That’s also the site where you’ll find the Controlled Vocabulary Keyword Catalog which works with Adobe Lightroom, Adobe Bridge, Expression Media, Photo Mechanic and a half dozen other applications.